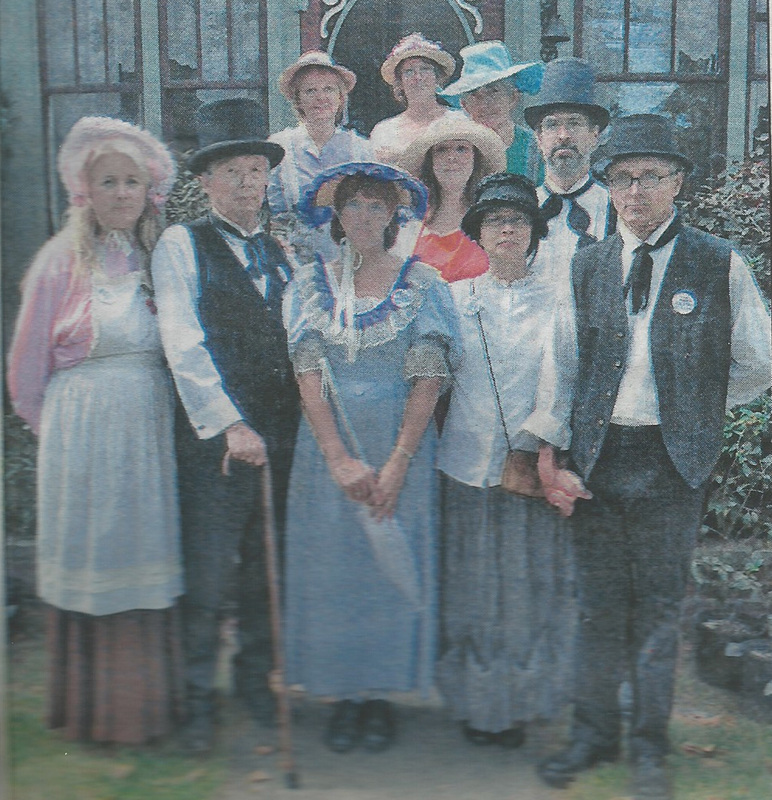 Here are a few highlights from last year’s event………………. 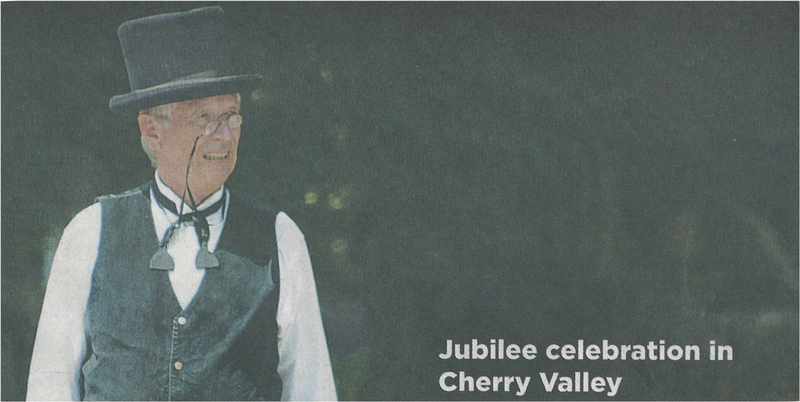 Cherry Valley resident Brian Conway dressed as United Empire Loyalist Alva Stephens, the man reputed to of given Cherry Valley its name. 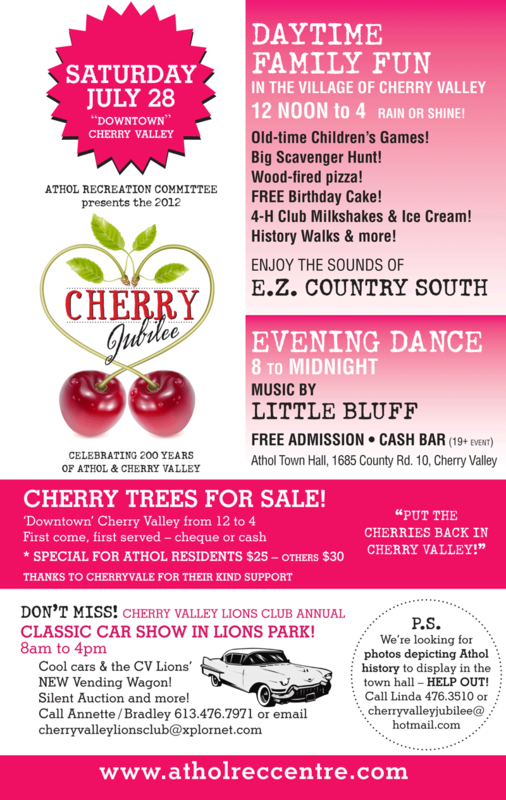 local residents as part of the “putting the cherry back in Cherry Valley” campaign. 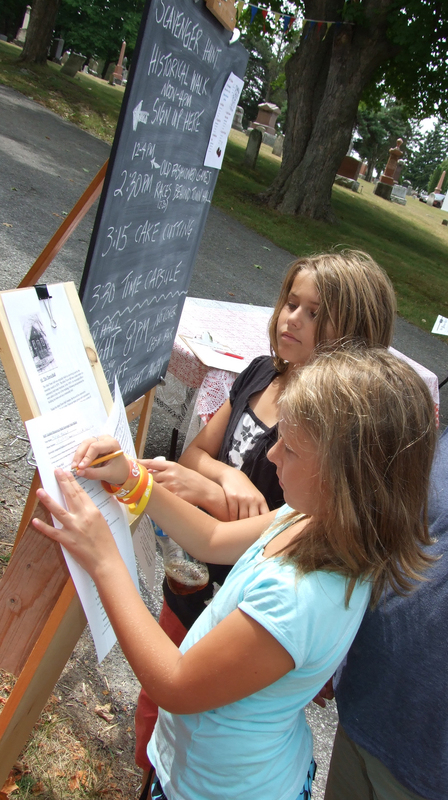 Bethany and Moriah learn about the history of Cherry Valley while participating in the Scavenger Hunt! costume as part of the day’s festivities! 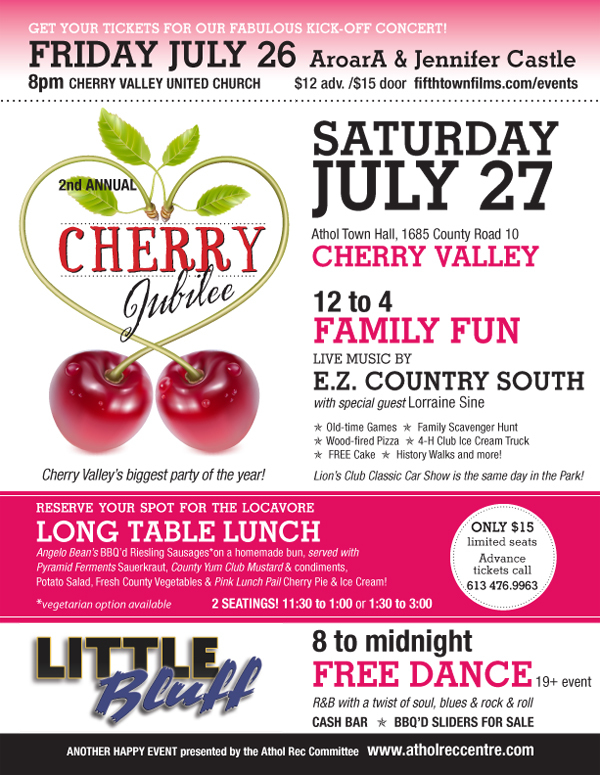 Cherry Valley was named by Alva Stephens, a hatter by trade who came from a village of the same name in New York State between 1812-1815. At the time there was a large number of wild cherry trees in the vicinity of East Lake. The early home of Alva Stephens, known to current locals as the Hick’s house still stands in the valley at 166 County Road #18 and is most recently the home of the Wallis family. 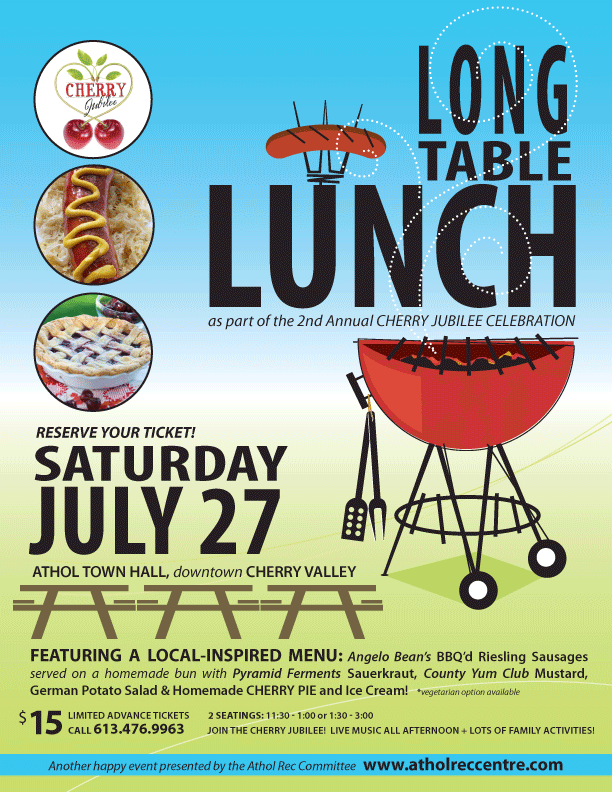 The Athol Recreation Centre is planning an event celebrating this event and the history of Cherry Valley and Athol.